When: 1st – 8th July. Where: Tisno, Croatia. 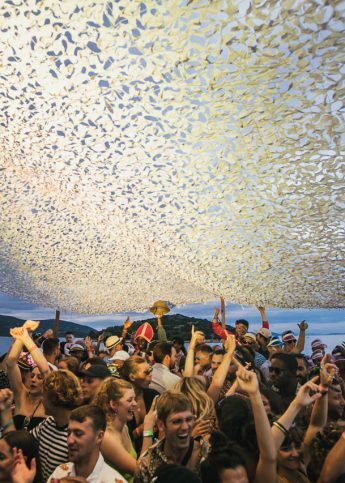 What: “Dancing together since 2006”, The Garden is an electronic festival in Croatia. Go see Bonobo for the beats and Banoffee Pie just because of that name. If you get tired of dancing (shame on you) Tisno town is just ten minutes away and you can go recuperate in paradise. Onsite accommodation includes apartments, luxury Shikar tents and Podpads. Beats a broken tent anyway. When: 3rd – 5th July. Where: Finsbury Park, London. What: The party starts before the festival even begins with Wireless’ 10th anniversary party on 28th June. This extra date at Finsbury Park sees Drake, Chance the Rapper and Katy B (amongst others) come together celebrate a decade of Wireless. Headlining this year’s weekend, sponsored for 2015 by high street staple New Look, are Drake, AVICII, David Guetta, Nicki Minaj and finally Kendrick Lamar, who we’re most excited to see after that surprise album release. Go see Major Lazer for some of the best twerking of your life, Ms Dynamite for ultimate throwback and Charli XCX for some pure unabashed pop. Also, a performance by Jaden and Willow Smith? There’s got to be some kinda weird twist there, right? When: 9th – 12th July. Where: Novi Sad, Serbia. What: As far as locations go, Exit wins. Held in the Petrovaradin Fortress on the Danube River, the biggest festival in South East Europe takes place in 18th century surroundings. Previous headliners have ranged from Lauryn Hill to Morrissey. This year, The Prodigy are our favourites on the bill but make sure to check out Wilkinson and Simian Mobile Disco back to back with Roman Flugel. When: 16th – 19th July. Where: Benicàssim, Spain. What: Despite being on the sunny shores of Spain, Benicàssim’s line up often feels like a Best of British list. This year Blur are the major headliners and while the four boys aren’t as cute and baby-faced as they were in the 90s, they can still play “Song 2” and that’s all you need really. When: 16th – 19th July. Where: Henham Park, Suffolk. What: A family friendly festival (kids under 4 go free! ), Latitude is 10 years old. A little more artsy and cultured than other festivals, where your primary concern might be getting absolutely off your face for four days straight, Latitude offers up poetry, theatre, comedy and cabaret for your viewing pleasure. This year you can see Noel Gallagher and Alt-J headlining and everyone’s favourite awkward adult, Jon Richardson, will be on hand to help you laugh that hangover away. After that it’s party time and you can stay up all night dancing to the bizarre beats of The 2 Bears and the master, DJ EZ. When: 17th – 18th July. Where: Victoria Park, London. 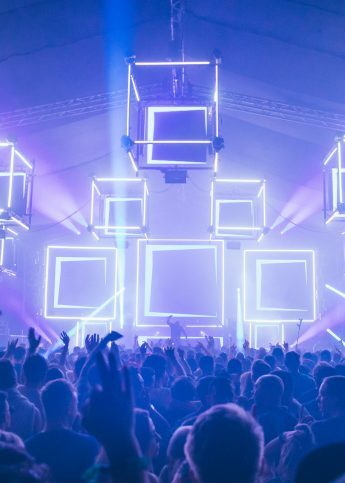 What: The fact that Lovebox was founded by Groove Armada is essentially a promise you’re going to have pretty good time. We can verify that the moment you hear Pharrell or Snoop, who’s Saturday’s headliner, break out into those swirling oo’s at the beginning of “Drop It Like It’s Hot” you will lose it, don’t worry, it happens to us all. The man lucky enough to hold the title, Coolest Person in The World, Mr. Mark Ronson will also be making an appearance at the East London Weekender. Hunt down Despacio in the gaps in your setlist timetable. It’s LCD Soundsystem’s James Murphy and 2ManyDJs circle of speakers, designed to make disco sound its best. When: 23rd – 26th July. Where: Cambridgeshire. What: Feeling nostalgic? Been known to enjoy jelly, ice cream and sprinkles? Secret Garden Party is for you with this year’s theme being Childish Things. What could be better than going back to the good old days of endless energy and eternal summers? As boutique as festivals come, you won’t find any huge names on the stages, but the music is a wonderfully eclectic mix, from funk beatmakers Jungle to soulful serenaders Angus and Julia Stone and Marika Hackman. Not in it for the live music? You won’t be the only one, what with lake swimming, paint fights, dance-offs and a late night venue called Little Gay Brother, you could have a packed weekend without seeing a single band. When: 30th July – 2nd August. Where: Lowther Deer Park, Lake District. What: Another 10th birthday celebration, at Kendal Calling you can take a Northern Soul dance class in the morning, catch Kodaline in the afternoon then sway to the dulcet tones of Elbow all night. The award winning festival has already sold out for this year but watch all the highlights and mark the date on your calendar for when 2016 tickets go on sale. Looking at some old performances, it looks like it’ll be well worth the advance planning. When: 31st July – 2nd August. Where: Standon, Hertfordshire. What: Founder of the festival, Alex Trenchard still maintains that it’s just a party for his mates that got out of hand. Strange things have been known to happen at Standon, if you see a fairy beckoning you towards a field, you’re (probably) not tripping, it’s usually a secret surprise. With 5am DJ licenses, you can really let your hair down. The Dandy Warhols are playing Standon as their only UK Festival date so plait your hair, throw on something swishy and go get bohemian like them. When: 31st July – 2nd August. Where: Pikehall, Derbyshire What: Wanna get loaded and have a good time? Go see Primal Scream at Y Not in the Peak District. While you’re at it, stay for Bo Ningen’s set too. Haven’t heard of the Japanese acid punk band yet? Where have you been? If the rather eclectic genre of acid punk isn’t really your bag, try grunge group Black Honey, led by the enviably cool Izzy Bee. If you like guitars and looks that could kill, they’ll be your new favourites, promise.